This contemporary Milano lounge in a Pure White finish is immaculately refined. The minimalist finish and practical design is thoughtfully crafted in a clean and striking manner, giving you a room that’s tailored to your tastes. 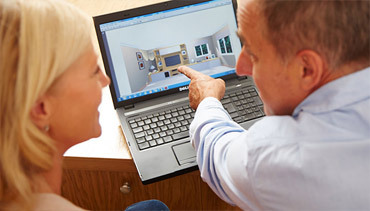 Our expert team will work with you to include all the discreet storage solutions and spacious shelving you require to deliver fitted lounge furniture that surrounds you with on trend style. Find the perfect space for your technology and entertainment collection. This Milano design features four drawers below the TV screen, offering out of sight storage and a soft close function as standard for a peaceful and cleanly styled lounge design. 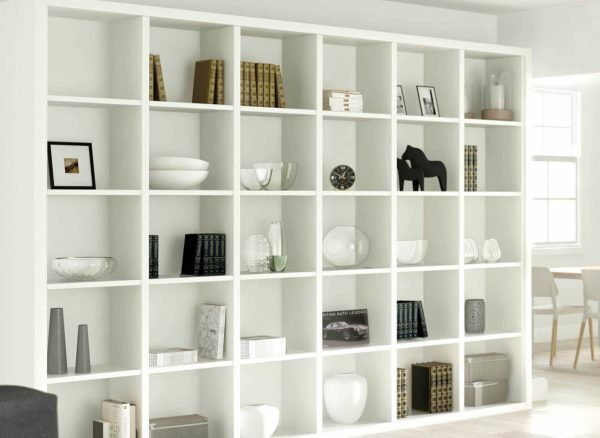 Our bookcase designs are ideally suited to any lounge or library space. They can be uniquely crafted to suit your needs and finished in a wood or painted shade that complements your individual tastes. 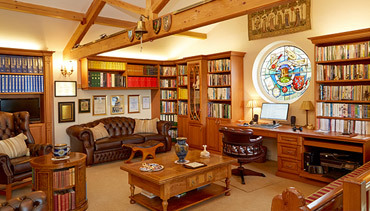 Your Strachan designer will create shelving that is width, length and depth perfect. 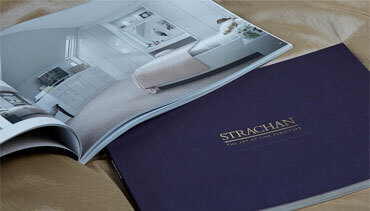 If you want a lounge that is focused on delivering an entertainment experience, then you can trust in Strachan. 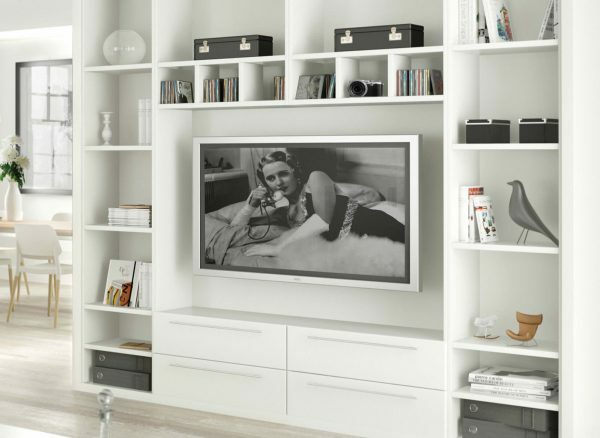 We will meticulously measure our units to beautifully display your TV screen, along with providing integrated technology features and uniquely made shelving to store your consoles and Digi boxes within reach.